Nothing compares to teak wood when it comes to strength, durability, appearance and low maintenance. 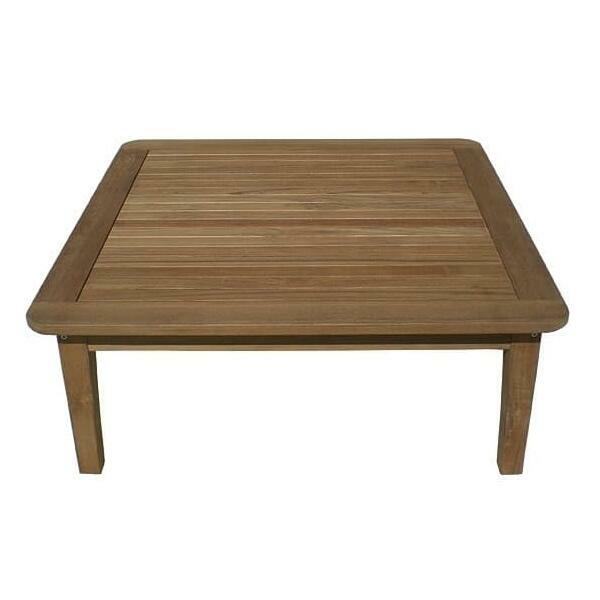 Many companies sell wood furniture that resembles teak, but there is truly no substitute for A-Grade teak. Teak was the primary material in shipbuilding for hundreds of years due to its superior capability to survive in any climate without fail. 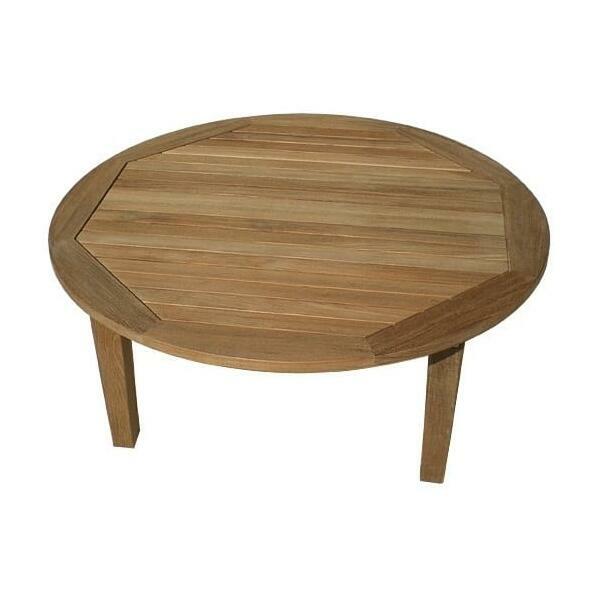 Even with its rugged properties it has a silky feel perfect for furniture. 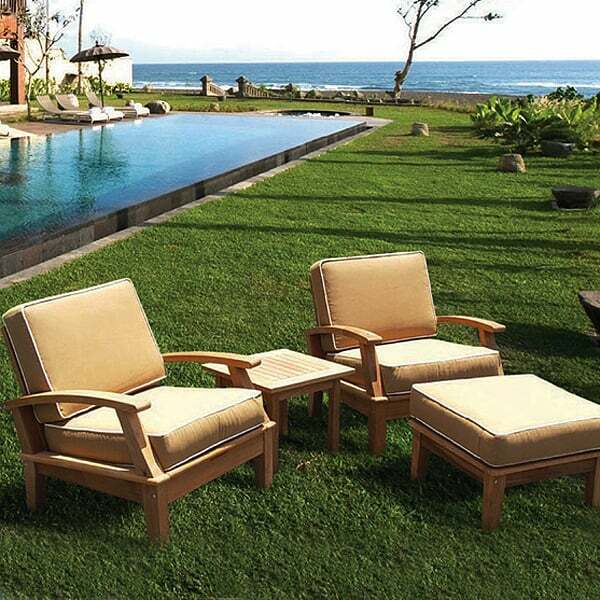 Royal Teak only uses A-Grade teak that has grown for at least 45 years, allowing the wood to retain enough oil to be used in an outdoor environment and maintain its look and feel. This amount of time also allows the oil to become bonded to the wood to ensure that moisture will never penetrate. Teak is very dense (40lbs. Pr. Cu. Ft. when dry), and when combined with the natural oil, will resist fungus and rot, as well as repel termites and insects. 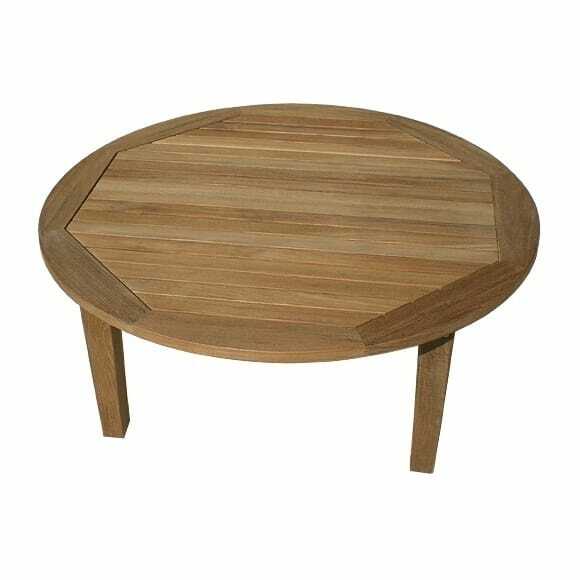 Many teak furniture manufacturers harvest their trees after only 10 or 15 years which results in a lack of oil in the wood. 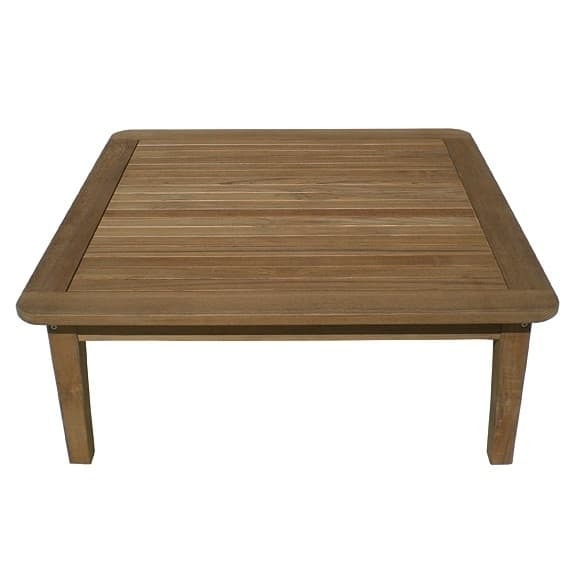 The lifespan of this inferior teak is much shorter than teak that has grown more than 40 years; water will penetrate the wood and in as little as two years the wood will begin to deteriorate and fall apart. 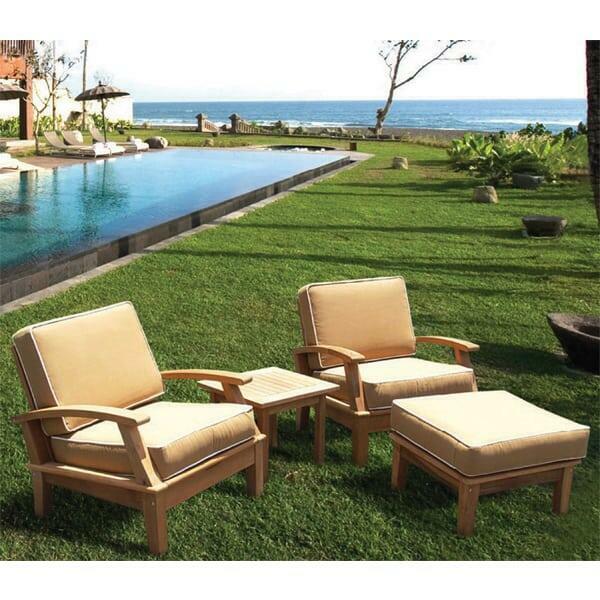 Teak patio furniture is not created equal; only A-Grade teak wood will stand the test of time. 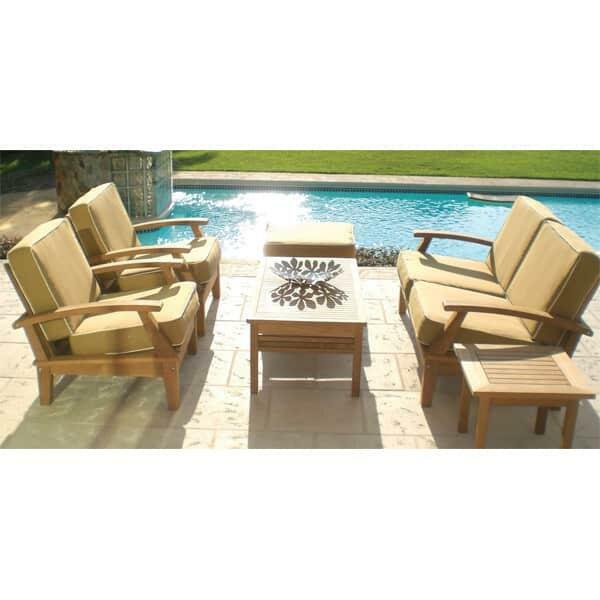 Set Includes: 2 Club Chairs, Ottoman, End Table, Cushions As Shown.